1-The government decides who are the prosecutors that are going to investigate corruption and organized crime. According to the Constitution and the Code of Criminal Procedure, until the establishment of Special Prosecutor Against Corruption (SPAC) and National Bureau of Investigation (NBI), the competences for the investigation of cases related to organized crime, corruption and of senior public officials will be exercised respectively by the Prosecution office of the First Instance Court for Serious Crimes and the Prosecution Offices of district courts, according to the competency defined before the entry into force of this law. 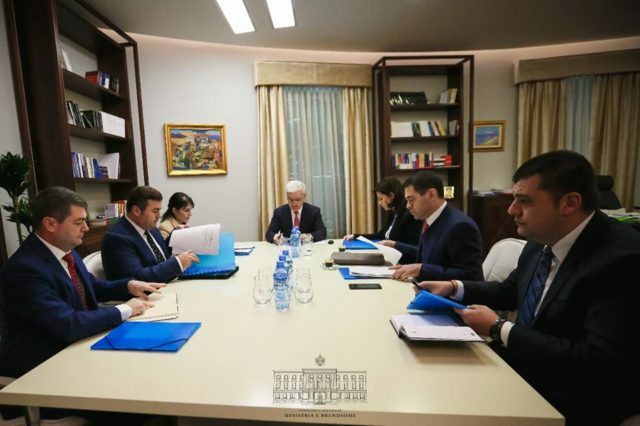 This legal rule has been changed by the cooperation agreement, which provides for the creation of 10 Special Sections (only one group of prosecutors, assigned by the Prosecutor General and the Government) that will conduct the investigation of the criminal offences, and prosecutors in their composition will be assigned according to the cooperation agreement within 5 days of signing, and after they have been through the Government’s filter through State Intelligence Service (SIS), High Inspectorate of Declaration of Assets and Conflict of Interest (HIDACI), and Directorate of Classified Information Security (DCIS). Hence, according to the agreement, if any of these institutions, wholly controlled by the Government, does not agree, the prosecutor is not assigned to the section. Through the creation of these sections and the rules on the assignment of prosecutors to them, it is practically the Government that decides who will be the prosecutors that will investigate the cases of organized crime and corruption of senior officials. The deadline to carry out the verification of moral and professional integrity (5 days) implies that the prosecutors to be assigned in the Sections are predetermined and the only filter is their reliability towards the Government and the Socialist Party.  The Serious Crimes Prosecution Office and district prosecution offices, have the legal right to conduct criminal investigations for the cases of organized crime and corruption of senior officials. The selection of the prosecutor for each case is done by lot by the head of the prosecutor’s office. While the agreement provides for this to be avoided, and the prosecutors who will deal with these issues will be assigned by the General Prosecutor, in cooperation with bodies under the government’s dependence or control (SIS, HIDACI, and DCIS). The vetting of prosecutors dealing with cases of organized crime and corruption is done by vetting bodies, not by government structures or the General Prosecutor. The agreement in its entirety contradicts the Article 148 of the Constitution, which stipulates that the prosecution is an independent body that guarantees the activity progress, its control and that respects the internal independence of prosecutors on the investigation and prosecution, as stipulated by the law. This violation becomes even more evident, considering that the agreement provides for the assignment of a prosecutor from the General Prosecutor’s Office, who will coordinate the investigative activity among the law enforcement agencies, and to whom should be reported once a month. This implies that the Attorney General keeps under control concrete criminal investigations, thus violating the legal rules on the internal prosecutor’s independence. 2.- Assignment of prosecutors who conduct criminal investigations on a concrete case, in violation of the Constitution and the Criminal Procedure Code, renders the investigative acts and the criminal proceeding invalid. Assignment of Prosecutor’s substantive competences in violation of the Constitution and the Code of Criminal Procedure renders the procedural acts of the investigation absolutely invalid, causing the invalidity and unlawfulness of the entire criminal proceeding. Article 128 (a), of the Code of Criminal Procedure foresees that procedural acts are absolutely invalid when the provisions related to the prosecutor’s right to pursue criminal prosecution and to participate in the proceedings are not respected. On the other hand, Article 129 provides that invalidity may be declared on the request of the parties and that the invalidity with regard to the acts of preliminary investigation and those conducted for the securing of evidence must be opposed at the preliminary hearing or in the court session before the judicial proceeding begins. By altering the rules for the assignment of prosecutors or substantive competencies of the respective prosecution offices, contrary to the provisions of the Code of Criminal Procedure, this agreement provides a legal remedy for organized crime and corrupt officials, to seek before the court of law the invalidity of the investigative actions and criminal proceedings against them, resulting in irrecoverable consequences for criminal cases initiated for them, hamper the fight against organized crime and increase the impunity of such cases. Thus, the sole beneficiaries of the illegal agreement between the General Prosecutor (GP) and the Minister of Interior (MoI), are the criminal organizations and corrupt officials to whom is being offered a legal opportunity to avoid justice and criminal liability, by requiring the invalidity of investigative actions as a result of the violation of the provisions related to the right of the prosecutor to pursue criminal prosecution and his participation in the proceeding. Article 21 of the Law no. 97/2016 on the organization and functioning of the prosecution clearly states that in each prosecution office, for certain categories of criminal offences, whenever possible and necessary, the prosecution office establishes sections with no fewer than three prosecutors after having received the opinion of the general meeting of prosecutors. So clearly the law entitles the head of the prosecution offices to establish the special sections, after having received the opinion of the general meeting of prosecutors. Meanwhile, in violation of this legal provision, the establishment of these sections was made by the agreement between the General Prosecutor and the Minister of Interior, in flagrant excess of their legal competences. 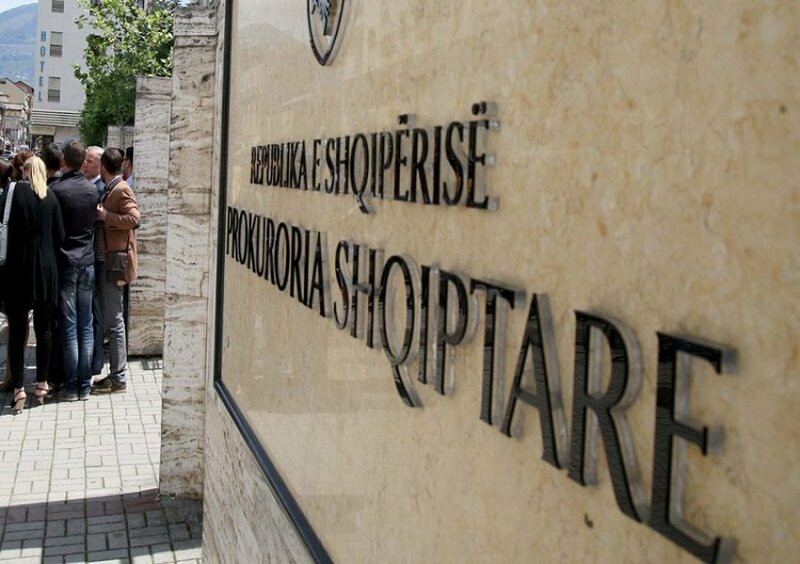 4– The underlying intent of this agreement is the change of prosecutors who are investigating hot political issues in Albania, and the taking over of these investigations by prosecutors loyal to the Government. removal of files from the prosecutors who are investigating these cases today, the transfer of criminal cases, including the file of former Interior Minister Saimir Tahiri in the hands of loyal prosecutors in order to close it without the Special Prosecution Office (a.k.a SPAC)being created. final closure of investigations for senior government officials corruption, or dangerous perpetrators of organized crime serving the Government, through their investigation by prosecutors assigned under the agreement, rather than prosecutors of SPAC. 5– The 2018 agreement is fundamentally different from the previous co-operation agreements between the GP – MoI (including the 2009 agreement). a) The agreement signed in 2009 is a genuine co-operation agreement because it creates 7 Joint Investigation Units (JIUs) headed by a prosecutor, and that include prosecutors and judicial police officers assigned by the General Prosecutor’s Office, and judicial police officers from the Ministry of Interior and the Ministry of Finance, as well as personnel from HIDACI, SIS and High State Audit. Meanwhile, the 2018 agreement does not refer to the establishment of Joint Investigative Units (this has been done by a Prime Minister’s Order!!! ), which would justify the signing of a co-operation agreement, but stipulates the creation of Special Sections at the Serious Crime’ Prosecution Office and 9 Prosecutors from the Judicial Districts, dictating to the prosecution its manner of organization. b) The agreement signed in 2009 did not dictate to the Prosecutor General rules on the manner of assigning prosecutors to the JIU, and their assignment was made without any interference from the Government or other institutions. 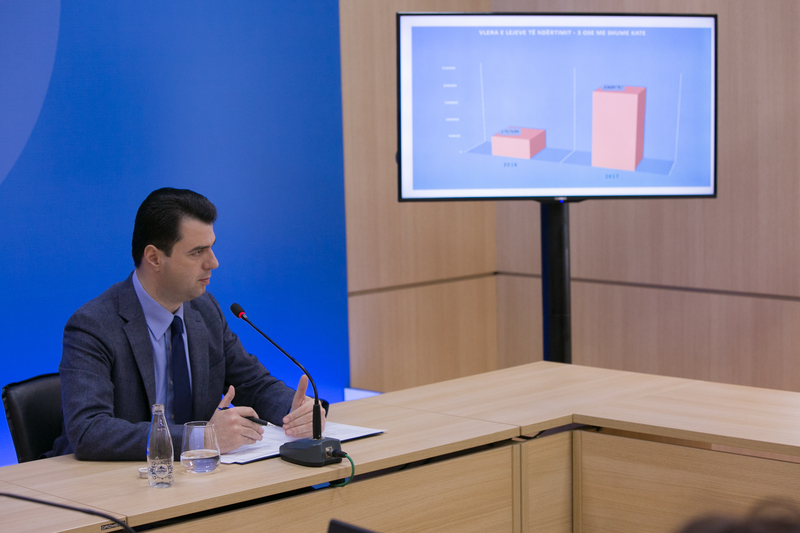 Meanwhile, the 2018 agreement between Xhafaj and Marku foresees the intervention of the Government through SIS, DSIK and HIDACI, in the evaluation of the prosecutors assigned to the Special Sections, and that their positive assessment is a criteria for assignment to the special sections. d) The 2009 agreement was not based on the decisions of the Council of Ministers nor by any order of the Prime Minister for the establishment of the Central Inter-institutional Task Force. It is unprecedented that a Task Force for Investigating Criminal Offences (with similar features to the JIU) is established by the Prime Minister’s order, and is headed by the Minister of Interior, while the prosecution and investigating leader is the prosecutor. 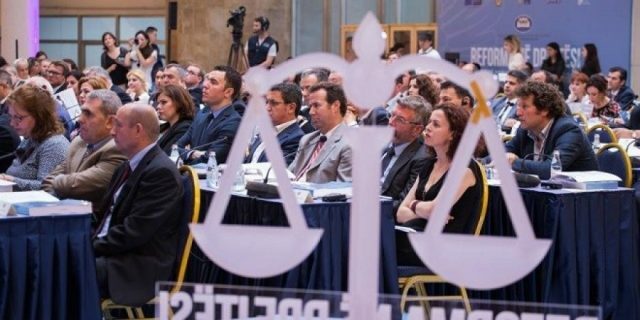 Why the unilateral appointment of a Temporary General Prosecutor is a threat to the future of the Justice reform and Albanian democracy?